Outdoor fireplaces and fire pits can be enjoyed safely and responsibly when fire danger is low or moderate. Due to the fire danger in Ashland and close proximity to the forest, outdoor fire pits need to follow specific criteria if used. Here is an overview of some of the basic safety regulations. For more detailed instructions clink on the links below. Fire shall be out and cold to the touch by 10 p.m.
Appliances should be designed in such a way that minimizes the chances of sparks and embers escaping. Click here for more details. Use is restricted during high and extreme fire danger. Click here for current restrictions. 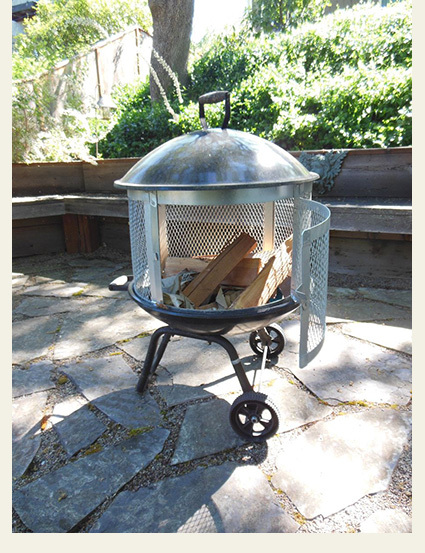 Click here to view outdoor burning requirements in the Ashland Municipal Code. If you have questions not answered by this page, please call us at 541.482.2770.